This post is certainly not about dads teaching kids to be greedy for money. This is all about us dads teaching our kids about the value and importance of money and what role it plays in our lives and how it affects us. I’ll start with a little story. When I was young and working towards marriage, I did tuition in order to make some extra bucks that would help pay for my impending wedding costs. At that time, I was giving mathematics tuition to an 11 year old boy who happened to be born in a relatively wealthy family. A little harsh , you think? That was a father’s reprimand for his kid’s lack of appreciation for work required to acquire money and since then it has always got me thinking regarding how I should approach this subject with my future kids. One thing is certain. 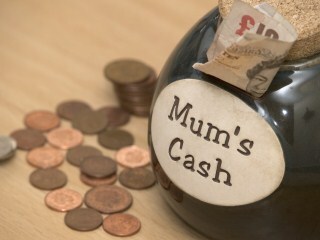 If we want our kids to have the right value and attitudes toward money, we will have to start now. I have compiled what I think are the top 10 things to consider, discuss and impart to our children. I hope this is useful to you and if you could share this with others or tell me what you think about it, I’ll appreciate very much. In a nutshell, no. Money is an integral part of life and society as we know it today. And our kids are able to grasps some of these concepts better than we think they can.While this will of course vary from child to child, I believe that as long as your child can hold a simple conversation with you, they are ready to assimilate one concept at a time. Some children seem never to outgrow the idea that money magically spits out of the Automated Teller Machine whenever and wherever we go. Perhaps we are guilty of making things too easy for them?If we help our kids as they grow up to appreciate that working hard is not a sign of stupidity, but rather a desirable trait, we would be putting them on a sure footing when they grow up. Sure by all means work smarter, but don’t ever despise anyone who works hard. See above story again.So how about paying them for little jobs they do around the house and encourage them to work part-time whenever they can without sacrificing time spent on studies? Let them value the rewards of hard work for money and understand that money does not come easy. The ‘I want it ALL, NOW’ attitude is something that we want to keep in check, especially when it deals with money. Many young people today (and some older ones too) grow up thinking that it is perfectly fine to spend beyond ones’ means just so that they can get that shiny new car or house or that perfect travel opportunity NOW.It is astounding that we allow the banks to make a ton of money from Credit Card debt and Credit Facilities that charge exorbitant interest. If you cannot afford it today, perhaps stop thinking and wanting and start working and saving. Good times don’t roll on forever.I believe that if a child is constantly taught this truth from young, it will stand them in good stead when they have to start making some major money-related decisions of their own. “Compounding interest is the greatest mathematical discovery of all time”, so said Albert Einstein. If you don’t already realize, compound interest is a double-edged sword. It can work towards your advantage if used correctly, or it can get you into deep trouble if you let it enslave you.The inventor of the game of chess was offered one wish by the Emperor of China because he was impressed by the game. The inventor asked for a grain of rice on the first square of the chess board, two grains on the second square, four on the third and so on through to the 64th square. The emperor thought nothing of the request and agreed, not realizing that two to the 64th power is 18 million trillion grains of rice–more than enough to cover the entire surface of the earth. The clever inventor did not gain all the rice in China; he lost his head instead.Teach our kids the power of compound interest for savings and investments and the terror it inflicts on debt. Compound interest, given time, can be a truly magical servant. This is self explanatory in the context of delayed gratification and the benefits of compound interest for savings and investments. We have to stop being nations of massive borrowers and start being better savers. And no I am not advocating being extreme about this; there is a place and time for debt.Start a savings plan and teach our children to make it a habit to put aside money regularly. Children should learn how not to spend every dime from pocket money they get! This is a great fallacy. It is the love of money that is the root of all evil. It is the unfettered greed that breeds a society full of selfishness and inequality. (Think Wall Street). Not everything should be measure by money, and our kids’ attitudes towards people should NEVER be motivated by their level of wealth, which brings me to my next point. Teach our children never to measure their self-esteem by what they own or have. True wealth lies in who they really are. Do you believe that yourself?Our children can be taught to be happy with things that are not bought with money. Did their best friend go for an expensive holiday that you cannot afford? How about thinking outside the box and plan a really fun and exciting camping trip instead? Life is not all about money. No amount of talk would mean anything if dads like us (mums too) don’t walk the walk as much as our talk. Our kids are watching us. What is your monetary policy and attitudes, dads? How well do you display the positive attributes of managing money? This is important and certainly worth highlighting and teaching from young. It is what would shape them into people of character and value and allow them to contribute positively to society, to those who are less fortunate and to give others a chance to help themselves.It is more blessed to give than to receive. Budgets are not just for accountants. In fact it is a plan relating to how much we should spend given our circumstances and abilities. If we fail to plan, we plan to fail. 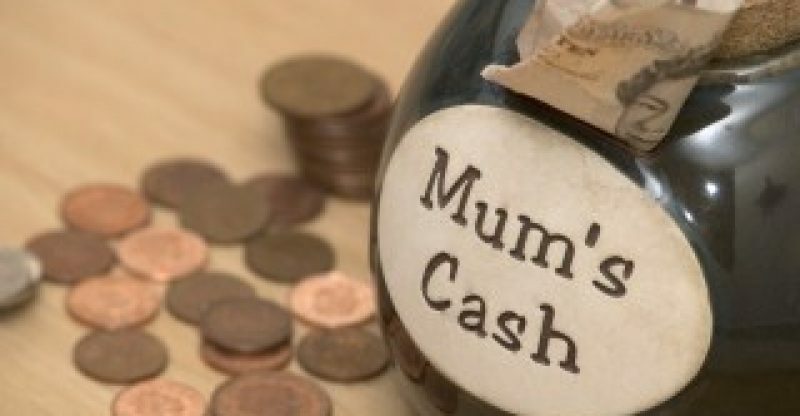 Involve our children in planning for family finances and help them to see how much money needs to be spent on family essentials and then what is left for nice to haves.And then there is tax. Let them know for a fact that for every dollar daddy earns, the government will get quite a few number of cents cents in order to run the country, and to keep the streets clean and for the police to make sure that the neighborhood is safe. Use pictorial means to illustrate inflation because this one can be quite hard. So I’ll pick something they like and help them picture how much more expensive these things have gotten over time. Well these are my personal thoughts and what I would teach my daughter. Tread your own path and come out with your own teaching list and guidelines. Whatever the case, don’t ignore this important topic. My wife and I strive to teach our kids the value of money by setting good examples and giving them practical lessons in financial literacy. We hope that our investment will produce three financially responsible adults who understand the value of a dollar. First time Being on Her Own - Dad (That) Is Life!